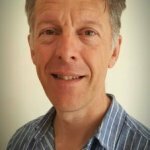 Neil is an experienced consultant with 20 years of experience in the public, voluntary and community sectors. Neil also ran the Community Action team at the Cabinet Office for four years, designed and implemented national grant and investment programmes including Grassroots Grants, Community Assets and the ground-breaking Community Organisers programme. He also ran the Red Tape Challenge for 3.5 years and then the secretariat to the Civil Service HR board, covering 400,000 employees. Neil also has extensive experience of supporting and developing organisations, developing strategic visions and strengthening governance and systems to ensure objectives are met. He has just completed the ‘Hudson Review’ of business rates process for the SoS Communities, Housing and Local Government and is engaged in a wide-range of community, environmental and organisational development projects. He has a strong background in community development and organising. Prior to consultancy, Neil set-up, ran and sold a web design agency, and before that he was in education. Neil is Chairman of Hastings and St Leonards Cycling Club – which he thinks is probably the best cycling club in the south east.